Thanks to the receptors in our nose, we can identify thousands of smells. But there are still many grey areas regarding the mechanisms at work in sending information to the brain. Research conducted by Alexander Fleischmann and his colleagues at Unit 1050, “Center for Interdisciplinary Research in Biology” (Collège de France/CNRS/Inserm) provides a better understanding of the neural networks activated when an odour is perceived. 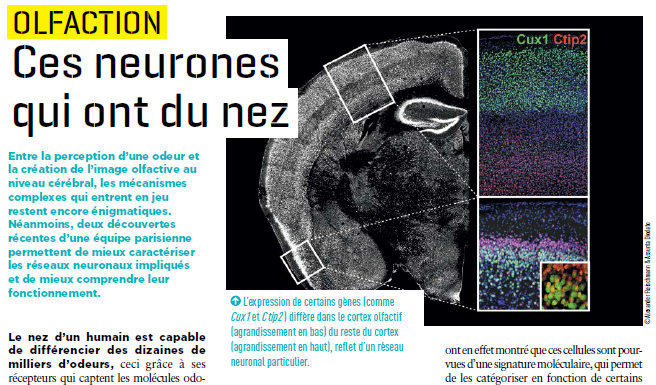 Issue 32 of Science&Santé magazine devotes an article to this discovery.